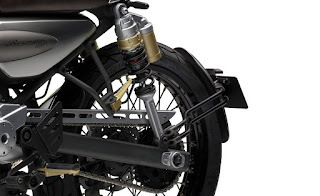 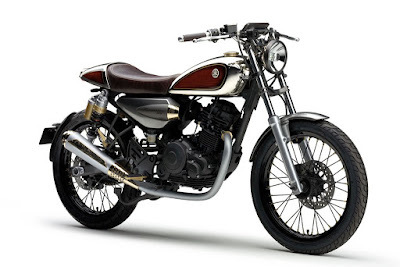 One of the concept models that will be brought by Yamaha at the Tokyo Motor Show 2015, that will held at October 29 - November 8, is a motorcycle design is similar to the Yamaha SR400 named 'Yamaha Resonator 125'. 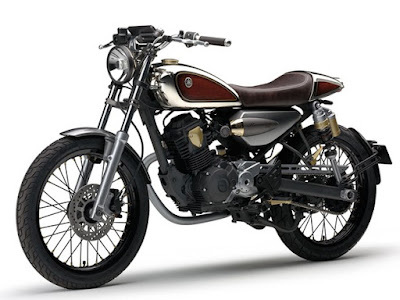 Yamaha Resonator 125 is a retro café racer motorcycle concept with a compact air-cooled single-cylinder fuel injection engine that is similar in appearance to the engine construction of Yamaha Saluto 125cc for the Indian market. 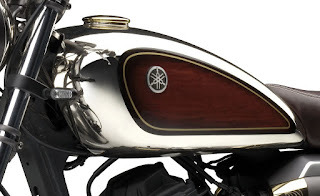 The Resonator name is taken to show the Yamaha connection as a musical instrument maker. 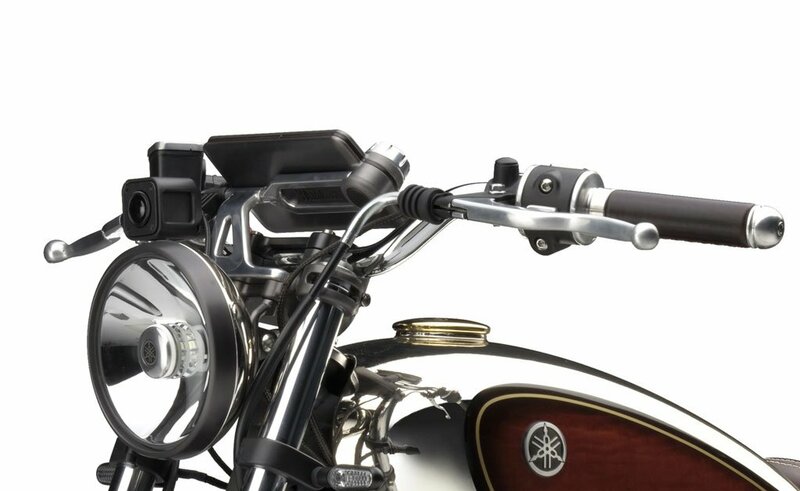 This is confirmed by the gas tank chrome accents, and contrasting with the rear panels of wood fiber texture similar to an acoustic guitar. 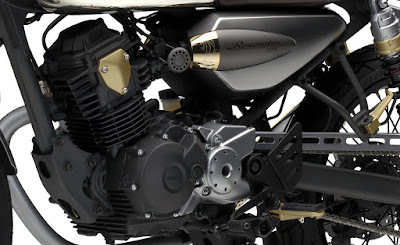 Not only that, Resonator given a touch of engraving techniques as well as custom motorcycle attached to some brass components such as the lid of the tank and the exhaust.